The magnetic field that surrounds our planet protects us from radiation and makes life possible. But Earth’s intense magnetism has other repercussions, many of which we still don’t understand. 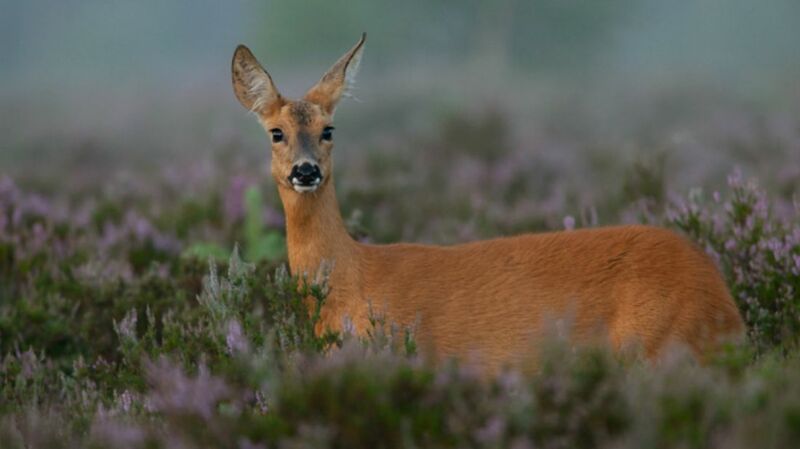 For example, a new study finds that roe deer use magnetic fields to keep herds moving safely and in the same direction. The report was published in the journal Behavioral Ecology and Sociobiology. This is a lot less far-fetched than it may sound. Earlier studies have suggested that hunting foxes can align their pounces along magnetic north-south lines, and researchers believe animals like lobsters, butterflies, pigeons, and cows all use magnetic fields to navigate or orient their bodies. It’s not much of a stretch to imagine that deer do the same. Escaping the jaws and claws of a predator is a complex task. Factors from wind speed and direction to fatigue or alertness can affect how quickly a prey animal detects a threat. From there, it must immediately judge where a predator is and how fast it’s moving, as well as the best exit route. Social animals like deer also have to take into account the location and position of other herd members around them. When the predator breaks into a run, the herd has to scatter quickly without causing a pileup. To test how the deer do it, international researchers monitored free-ranging roe deer (Capreolus capreolus) at 60 sites in the Czech Republic. Wildlife biologists and park rangers, all experienced field observers, watched the deer on and off for 46 days. They checked in on the deer in bright light and low light, and on days with different wind speeds and directions, temperatures, and positions of the Sun in the sky. The observers noted how the deer oriented their bodies when they were relaxed and grazing, as well as when they were startled or on alert. When threats arose and the deer took off, their monitors recorded which way they went as well as the location of the threat. Lead author Petr Obleser is a biologist at the Czech University of Life Sciences. He notes that these trends were clear in individual deer, the authors say, but even more apparent when considering an entire herd’s behavior. “This suggests that an important function of this behavior is to coordinate the movement in the group, to keep the common course of escape when frightened and to maintain the cohesion of the group,” he said in a press statement. It helps to be on the same page with your friends and family, especially if you're running for your lives.